Get ready to throw the old pigskin around with "Vintage Football," the 1000 piece jigsaw puzzle by Springbok. 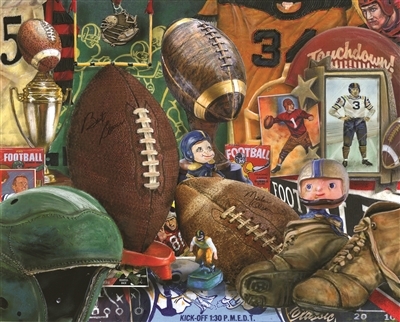 This detailed vintage-style illustration is filled with football memorabilia in a myriad of colors. I would like to order this puzzle because I love sports especially football. Do you have a baseball puzzle that I can order?